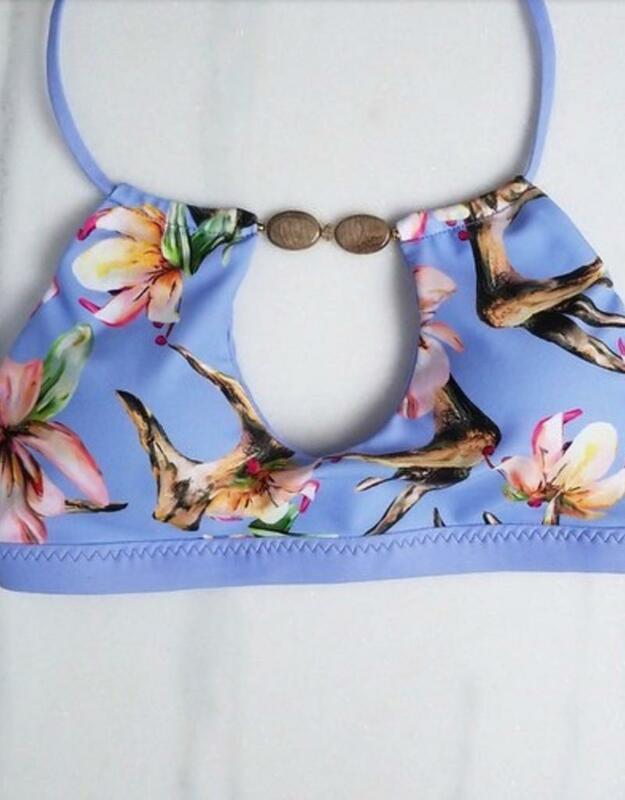 NEW Maldives Top in watercolor-inspired Antler Print by Danni Baird. Seamless, reversible Periwinkle color, ties behind neck and hooks in back, accented with Petrified Wood gemstones and Swarovski rondelle crystals. Fabric content: 80% Nylon 20% Spandex.